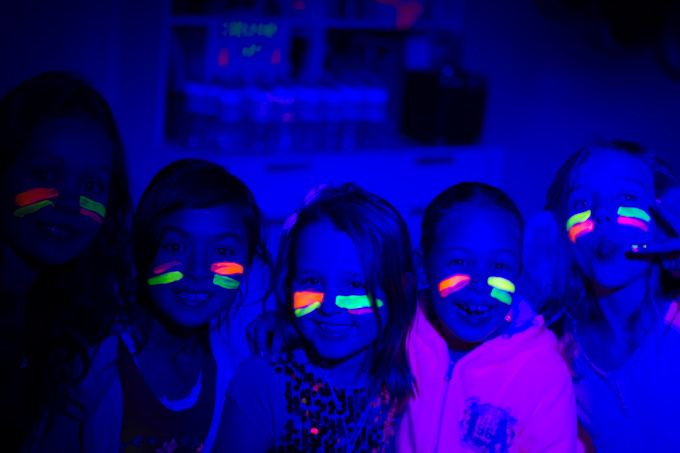 A Glow Party activity can be a fantastic way to look amazing in the dark and to prepare for a fun party under blacklight. Kids love the idea of these unique types of parties, and by preparing with the right activities, you can make sure to engage them in a wonderful new way. Make tag unique and fun with the help of neon facepaint. Imagine going into a game of tag with your face done up in war paint and ready to run at everyone! Start the game at the glow party by having people paint their faces with unique color patterns. Then have them run throughout the glow in the dark party playing tag. With a small bowling set or a glow in the dark bocce set, you can enjoy playing glow bowling. Play glow bowling with a big group, either bocce or regular style. If you love regular style bowling, you can enjoy glow bowling at a glow in the dark party as well! Have a relay in which a team has to pass a series of balloons from one end of the gym to another by passing the balloon over and then under the next person in line. Glow in the dark balloon relays can be made easy by inserting a tiny glow stick into the balloon and then inflating it. You can also use neon colored balloons that will easily glow when they are inflated automatically. Once several balloons have been passed by the other team and placed in a bucket, the winner can be declared when the last balloon passes into the last bucket and the officiate says the contest is over. 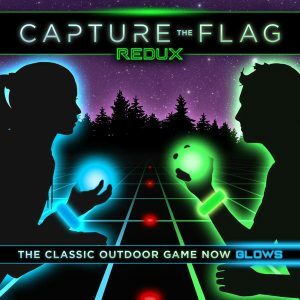 Capture The Flag REDUX is designed with a glow-in-the-dark environment or completely dark environment. The Capture The Flag REDUX Kit is an ideal way to build up a fun and unique plan for playing capture the flag using only glow in the dark materials. The Capture The Flag REDUX Kit is designed for use with kids of all ages. 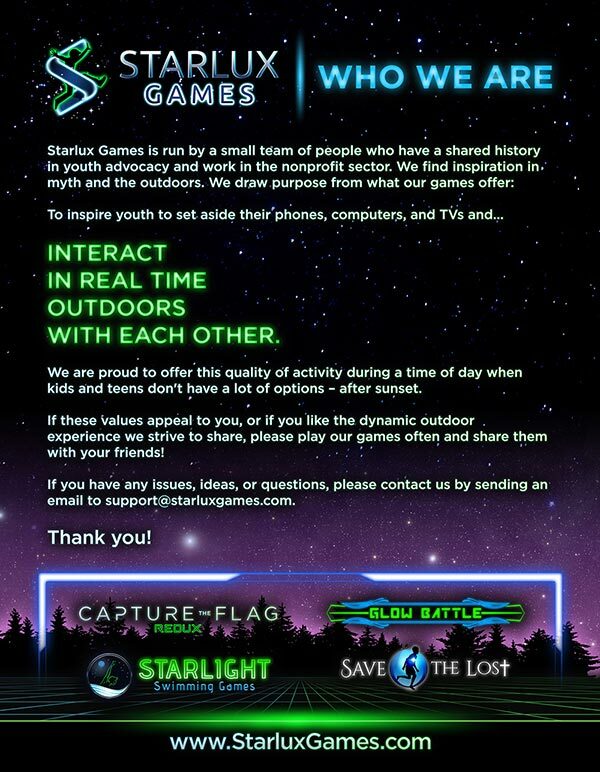 While the basics of the game are roughly the same as typical capture the flag, the goal of Capture The Flag REDUX is to deliver a fun experience that can be played inside under black light or in darkness. Players can get creative with indoor mazes and more for this version of capture the flag. Consider any one of these top glow in the dark games when you are planning a fun glow party. Any of these activities could be an excellent choice for glow in the dark play time and will be a lot of fun for your party guests.